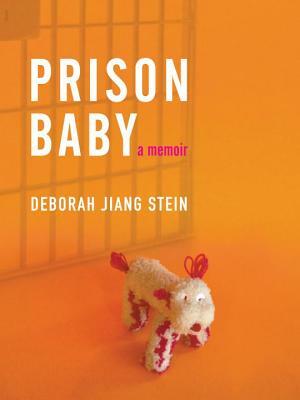 Prison Baby is a revised and substantially expanded version of Deborah Jiang Stein’s self-published memoir, Even Tough Girls Wear Tutus. Even at twelve years old, Deborah, the adopted daughter of a progressive Jewish couple in Seattle, felt like an outsider. Her mixed Asian features set her apart from her white, well-intentioned parents who evaded questions about her past. But when she discovered a letter revealing the truth of her prison birth to a heroin-addicted mother—and that she spent the first year of life in prison—Deborah spiraled into emotional lockdown. For years she turned to drugs, violence, and crime as a way to cope with her grief. Ultimately, Deborah overcame the stigma, shame, and secrecy of her birth, and found peace by helping others—proving that redemption and acceptance are possible even from the darkest corners. Deborah Jiang Stein is a national speaker, writer, and founder of The unPrison Project, a 501(c)3 nonprofit which serves to build public awareness about women and girls in prison and offers mentoring and life-skills programs for inmates. "Jiang-Stein’s journey and her captivating account of it are beyond astonishing." “A harrowing, heartfelt glittering diamond of a memoir that shows that being born in prison does not have to imprison the spirit. Gloriously alive and important." "Prison Baby, one woman's profound quest for family and identity, is also a soul stirring call to arms on behalf of incarcerated women and their children. It's a story of lost and found, conflict and peace, and proof that with love, forgiveness, and support, people really do change their lives." "This book defines what it is to be American, a woman caught in the whirlwinds of change, who finds the strength in herself to confront the challenges and overcome them. Wonderful." "A profoundly moving search for identify, Prison Baby is as inspiring as it is haunting. Deborah Jiang Stein’s bold, and intrepid honesty will speak to anyone who has struggled with grief, forgiveness, and finding their place in the world." "Prison Baby hits all the emotions of the who, what, where, when and why's of adoption right on the head of the nail! Some real deep life stuff is in these pages. It stirs the soul. I can relate to being in a similar predicament where I didn't look like anyone in my family. If you want to know the truth about finding who you really are, this is the story! Adopted or not."